Yacht Club Villas Building 1 Bldg. Listing courtesy of The Hoffman Group , Jim Rand. Listing courtesy of Sandy Toes Realty LLC , Michael McClam. 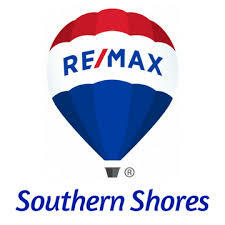 Listing courtesy of RE/MAX Above the Beach , Jennifer Lewis. North Myrtle Beach is comprised of several beaches starting with Windy Hill Beach that borders Myrtle Beach where you'll find Barefoot Landing and the iconic North Beach Plantation. Next up is Atlantic Beach and then Crescent Beach which is home to the famous Painter Homemade Ice Cream. Main Street North Myrtle Beach is the place for enjoying watching or participating in the Shag, the state dance, and home to the Shagging on the Strand Festival held twice a year. Cherry Grove is the northern most beach boasting a laid back beach lifestyle with few big resorts and lots of single family and low rise condominium properties. Wherever you land in North Myrtle Beach you'll be sure to find beautiful beaches, friendly people and great restaurants serving everything from cool treats to gourmet seafood delights.